A risk that construction workers face is that of an elevator accident. Construction sites are among the most dangerous places to work, because of the presence of heavy equipment, moving machines, falling debris, and people working on heights. One of the risks that construction workers face is that of an elevator accident. There are various ways in which construction workers can get injured or even killed in an elevator accident. According to the statistics provided by The Census of Fatal and Occupational Injuries, around 20 people get killed in elevator or escalator accidents each year in the U.S. These fatalities include construction contractors performing installations or maintenance of these elevators. Elevator shafts are large holes in the ground, which present a serious threat to construction workers who are at risk of falling in. 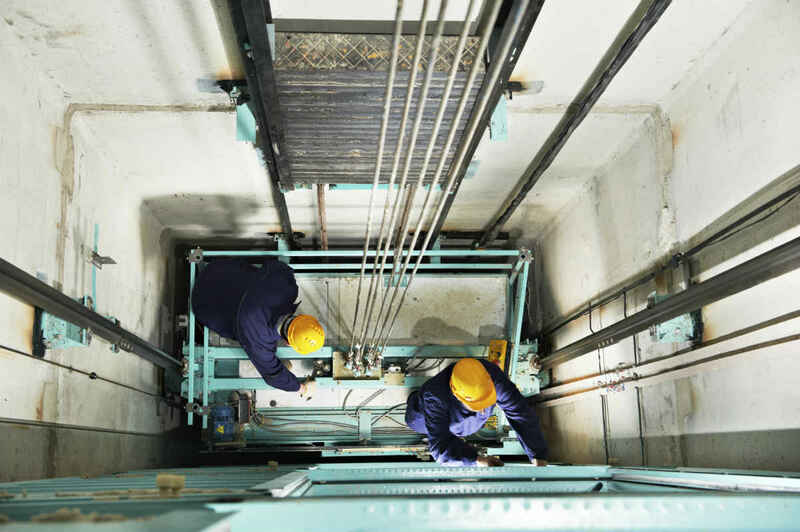 An elevator shaft that is left unattended and without a proper blockade poses a serious fall hazard, especially when workers are preoccupied by another task they are performing close to the opening. When shafts are not occupied, they should be properly blocked off and marked to prevent fall accidents. In the absence of proper safety equipment, any worker who is working in or around an elevator shaft is at a high risk of suffering an injury. It the duty of the employer to provide protective gear such as reinforced footwear, gloves, and hard hats to workers. Workers should also have a personal fall arrest system to prevent falls when working in close proximity to elevator shafts. If you have sustained injuries in an elevator accident at your workplace, you may be entitled to workers’ compensation benefits. If you fail to get the benefits you deserve, consult a St. Louis workplace accident lawyer. Call The Law Office of James M. Hoffmann at (314) 361-4300 for a free consultation.